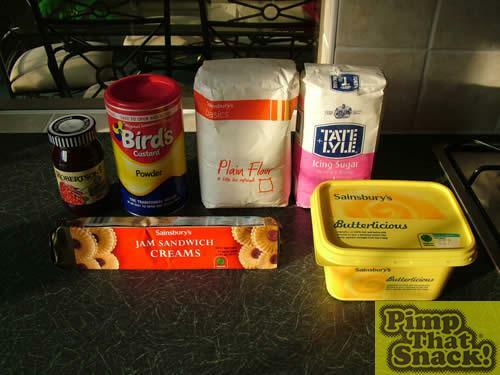 The Jam Sandwich Cream - a biscuit you'll recognise but probably didn't know the name of. This famous little gem is the favourite in biscuit multi-packs, and always runs out first because its the nicest one. 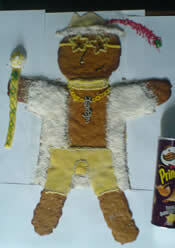 What better way to show respect for this silent genius, than to pimp it? Jam Sandwich Creams for inspiration and comparison. For the biscuity base, I nicked an established receipe. 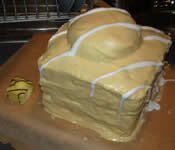 Take 200g of sugar, 400g of butter, and 600g of flour. 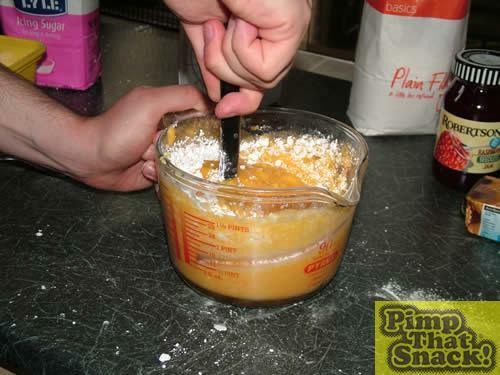 Hurl it into a bowl and ponder just how long it'll take to mix the bloody thing together. I sped this up by putting the 'butter' in the microwave for 40 seconds. 7 hours later when its all nice and mixed, it should have become a nice, almost doughy-like substance. 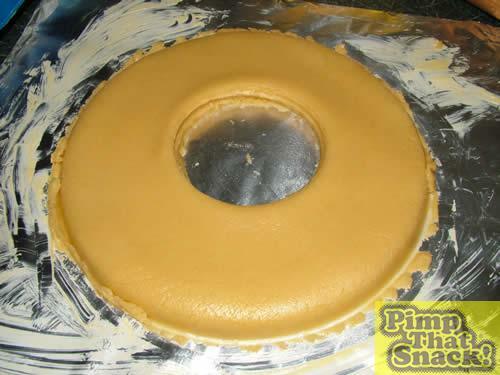 Throw about and make silly shapes with this for a while before flattening it out in to something that might suspiciously resemble the base of the biscuit. 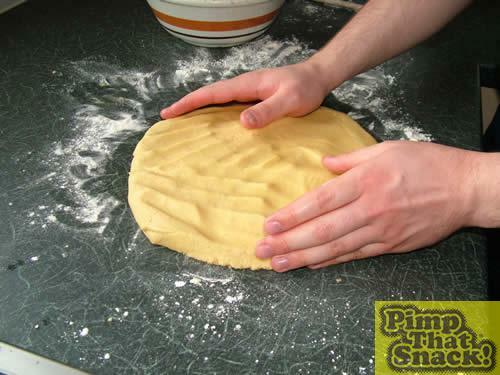 Do the same again, only this time carve out a nice whole for that jam bit. I have no real perception of either heat or time, but about 20-25 minutes in the oven at 180 degrees should turn this into a faily solid biscuity base. 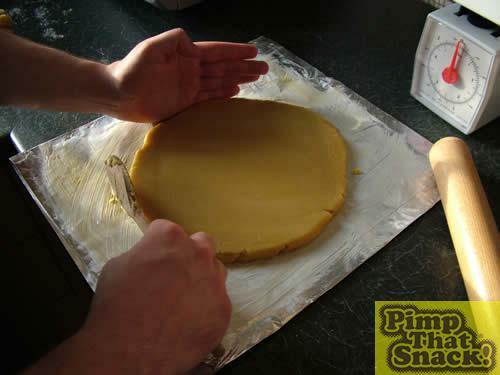 While that's cooking away, turn your attention to the custardy creamy bit that goes in the middle. OK, strictly the Jam Sandwich cream isn't custard flavoured, and you could omit the custard power from the receipe but that wouldn't make it half as much fun. 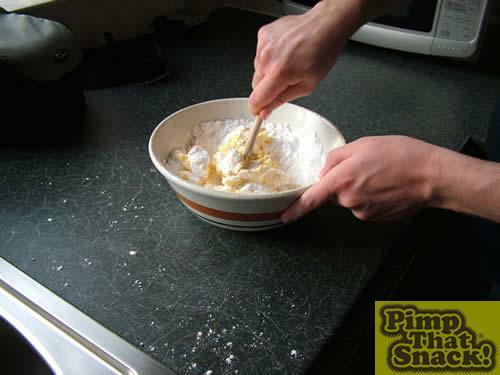 So, take an ungodly amount of icing sugar and custard power, and mix with yet more 'butter' substance. Again, a quick burst of micro-power will help this along.